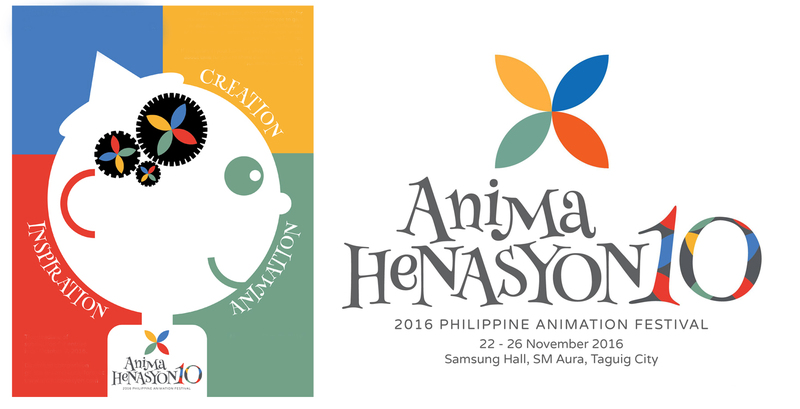 Animahenasyon 2016 | Miracle Animation Studios Inc. 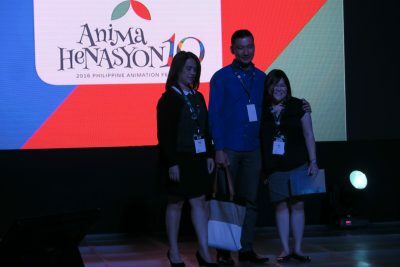 I was not really too keen on attending the 10th Animahenasyon festival since I prefer to write more about our actual animation production experiences rather than some new lectures on animation. 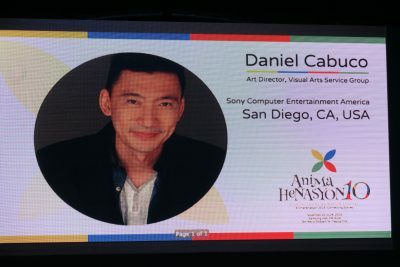 But when I called Grace about a week before the festival to follow upon our mobile game production and some payments; she encouraged me to attend the festival but the festival program was still not posted on the Animation Council of the Philippines Inc. (ACPI) website. 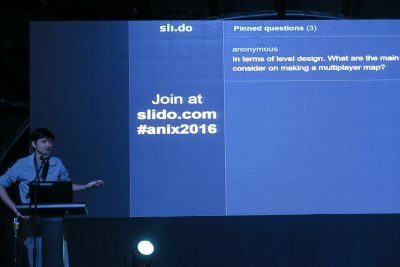 The program was finally posted two days later and my interest was piqued as there were topics about gaming from international speakers. 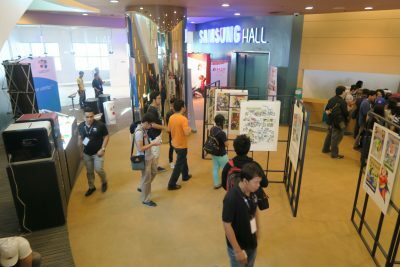 There were three days of seminar at the Samsung Hall at the SM Aura in Taguig from November 22 to 24, 2016. 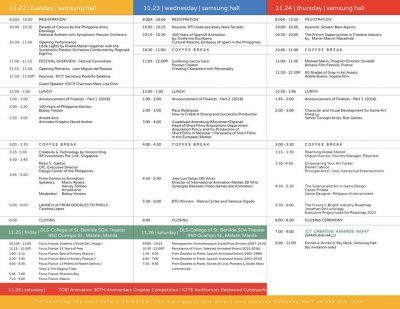 I chose the last two days as the topics were more interesting and I only have to bear two days of heavy traffic going home instead of three. The seminars were all very good and I would have regretted it had I not attended it. The attendees for both days were mostly students from schools; there were only few people in the seminar for the second day and for the third day there were just slightly more people. 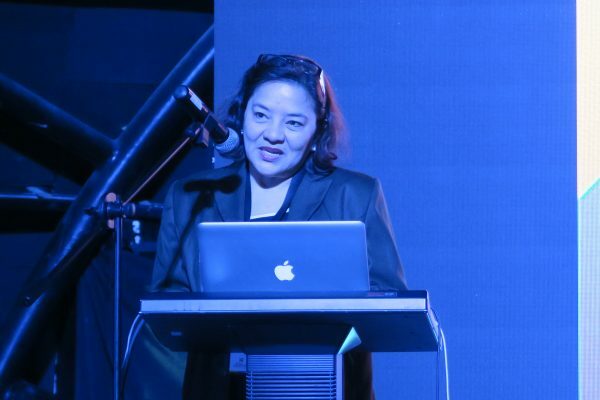 For the second day, the Department of Trade and Industry (DTI) director – Ms. Angelica Cayas gave the opening remarks. 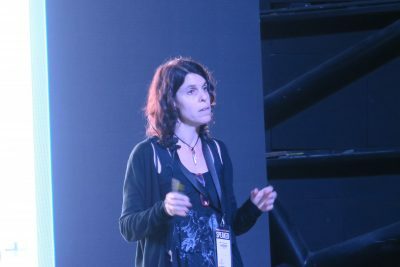 She said that the global animation industry is worth $226 billion annually with a growth rate of around 7%, which could evolve and grow further. The size of the industry presents an opportunity to connect our story to the world. Our animation industry contributed $153 million annually to our economy is mostly comprised of small to medium scale businesses with around 11,000 local employees. 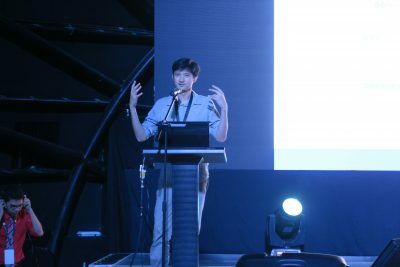 However small on the global scale, the Filipino talent in outsourcing, design and development is a significant contributor to many global hits in animation films, television series, mobile and computer game development. 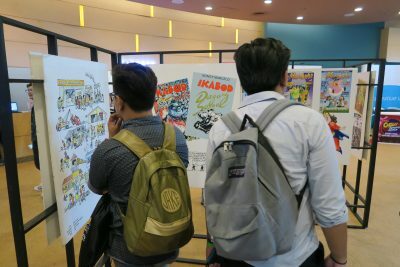 The challenge to Filipinos is to be able to invest and expand in the creation of animated films, games and series for both children and adults. 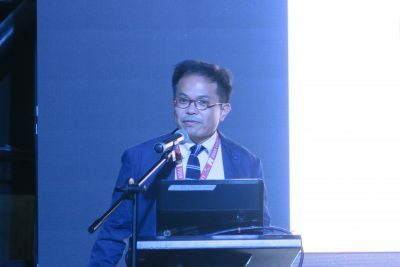 To take advantage of the opportunities, the DTI and the Board of Investments (BOI) are looking for new ways to give incentives and grow the industry with the help of ACPI. 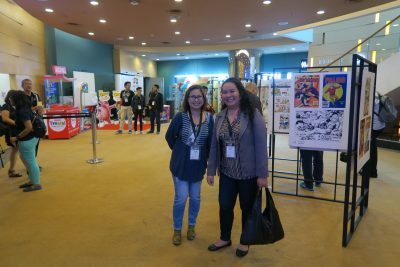 The government is helping ACPI to be present in some international animation festivals to show the world the Filipino stories, talent and culture. 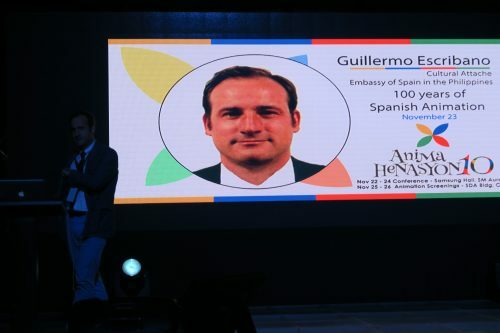 Guillermo Escribano – Cultural Attaché of the Embassy of Spain in the Philippines was very thankful that Spain was chosen to be a contributor for the festival. In Spain, the cultural industry is an important motor or for development, where it represents about 4% of the Gross Development Product (GDP). Heritage is important; it is important to know your history. The Philippines has the oldest cinematography in Asia. In 15 years there was a huge evolution in Spain in terms of co-production, sometimes 70% of the project was from other countries. 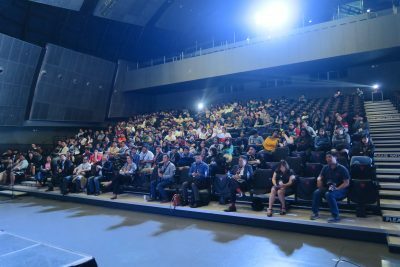 The festival is a fantastic format or platform where opportunities in sharing knowledge, developments and mistakes could form bridges among countries in Spain, Latin America and the Philippines. 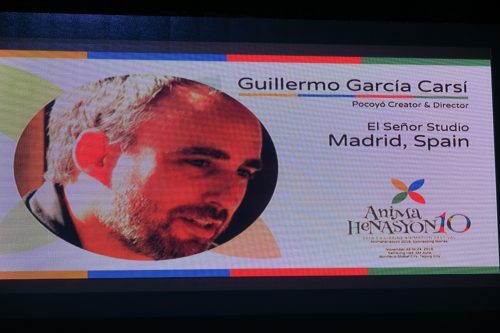 Guillermo is the creator and director for the internationally recognized animation – Pocoyo; the 3D cartoon has no dialogue that is for the pre-school market but adults could enjoy it as well. Guillermo first showed the audience a film clip of his creation where the characters Pocoyo and Pato were building a castle brick by brick. Before the completion of the castle, it collapsed due to Pocoyo getting one brick from the foundation to complete the top of the castle. Pato was mad at Pocoyo and the relationship turned sour. Their common friend – Ely tried to help but the two refused to reconcile for a long time. After sometime Pocoyo broke down and cried over a photograph he carried with him showing him and Pato during happier times. The photo escaped Pocoyo’s hand and it flew to Pato’s area and Pato also cried about it. Not long afterward, both regretted their mistake and with the help of Ely, both became good friends again. 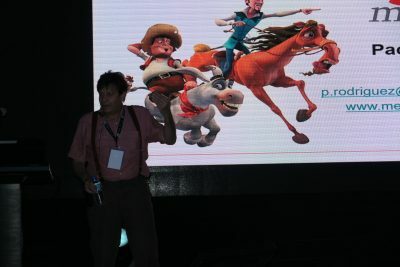 When Guillermo started in animation he emphasized that he was not into 3D and not into pre-school, nor was he interested in using 3D or going for the pre-school market. His influences in animation were the classic Warner Brothers cartoons where many shows were based on on body languages, wit, imagination, gags and has a subversive approach – just like most kids. Many other influences were cute Disney characters, Motaddelo Filemon (Spanish cartoon), Pink Panther – the minimalist approach to classic cartoons, comics such as ‘Squeak the Mouse’ -adult comic, ‘Squirrey the Squirrel’ a comic with a cartoony approach. Luis Buñel – a Spanish surrealist film director who can make imagination, dream and reality go to another level. He remembers the Spanish cartoon Plastinots as a kid, it only has white backgrounds. Guillermo tried to do many kinds of background, until the producer said that the white void works. More recent influences include Japanese cartoons whose characters are very cute but they do crazy stuff. Western cute cartoons like Power Puff girls were also influences. In Pocoyo, Guillermo used the cute formula with a strong personality. As stated before, he was not into pre-school and 3D, he was more interested in doing shows like the Pink Panther cartoon and inspired by Charlie Chaplin – who had universal humor was an inspiration for many cartoons. Aside from positive influences, Guillermo had also negative influences in cartoons like Teletubbies. He says he tries to ran away from it but ironically, Pocoyo looks a bit like Teletubbies. Another negative influence is Fimbles, which is similar to Teletubbies but worst. For the negative influences, he tried not to do what the said shows did to the characters, which are too superficial. Fimbles is the exact opposite of he wanted to do. He then showed a cartoon character – Puchi in the Simpsons as an example of a fake character, very commercial, lots of sugar but no soul. For the cartoon to be successful, it has to have soul like Sponge Bob, Dexter and others. The word Anima means soul, personality; so animación is to animate, to make human , which is an amazing stuff. Animators create the illusion of life. The final goal is to tell stories, which helps us face life and we learn lessons from them. But at the same time it should also entertain. He showed a video clip of a girl being interviewed and it showed the unpredictable behavior of the child. The video was able to capture the child being cute in one moment and being like a psycho in another moment, so this is the kind of soul, character he wants to show in his cartoons. As kids we are authentic, surreal (mix of reality, dream and imagination), subversive (not knowing the rules), cute but not conscious of it. Kids are not dumb, they are also realistic, they deserve something more without patronizing them. If Pocoyo can do no wrong, then it cannot teach the kids any lesson. For example, he can show Pocoyo to be selfish but eventually Pocoyo is isolated by others; so Pocoyo learns that being selfish is not good. Kids can see the process and not just the idea of being selfish; they can learn from these kinds of stories rather from a character being good all the time. Guillermo jokingly quoted Pablo Picasso when the latter said: ‘A good artist copies, a great artist steals.’ Guillermo then explained his interpretation of the quote as copying is superficial, when you steal you make it your own, you love your work, you create something new. His formula for the quote was: Steal + your influences + your technique = original work! For Pocoyo, the stories center on two main characters – Pocoyo and Pato. The series grows from the antagonistic or contrasting personalities of the characters. There is no environment and plot in the series. Pocoyo is natural and spontaneous, while Pato is more rational. The formula is: contrast = conflict = stories. Aside from the visual arts; music tells a story and images follow that; music lets the brain play around and a story appears if he has a hard time writing a script. Guillermo recommends the audience to see the film ‘The Monk and the Fish’ where the images follow the music. When Guillermo was creating the show, he first did a test with the music by the Beatles called ‘Love Me Do’. 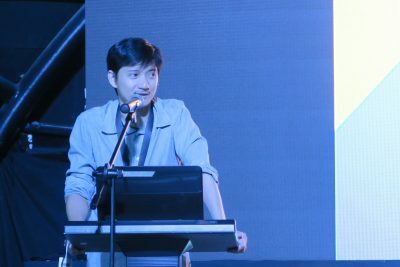 He showed the audience how he did the sample test for himself using rough 2D drawings with the said music as background. After the test, he knew he had a series, it was different and the characters had a good relationship. When Guillermo first started with the character, he did not do Pocoyo, it was just a rough 2D character with a little testing of poses showing some personality. He tried to draw poses and bring out what is in the mind of the character, what is the personality and feeling of the character. After the poses he added lots of in-between drawing s to bring out the personality through the rhythm of the movements. 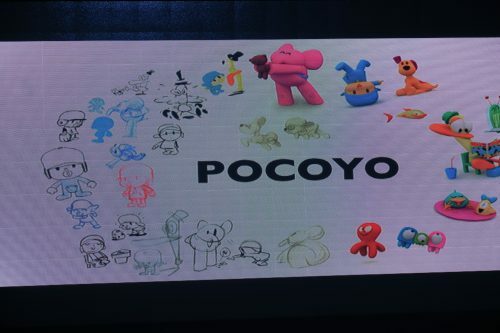 After getting the movements, he slowly drew Pocoyo before making it into 3D. For Pato, he approached him more like a robot. Then he stretched him, but it doesn’t look good. He then changed the approach to find a way to suit the character by breaking the models. He has to invent and think of ways for the movement to show the personality, which was more graphic and less organic. In a way he cheated the natural movements to make the character more alive. Guillermo then showed a film clip where Pato’s body changed successively into many unbelievable different forms from a ping pong table, to a flower, to a fan, to a swing, to a clock and finally to a car driving along the road. To show the contrasting personalities of the two main characters, Guillermos showed Pocoyo and Pato doing a dance off ; two friends really opposite and fighting off in the dance. For the stories, Guillermo starts off with rough 2D drawings not quality ones and he does it as quick as possible. He then does the storyboard with animatic, which he had to do every 4 days during the creation of the series. He then showed a film clip where Pato was leaving, where the animatic was shown. He says if it doesn’t work in animatics, no amount of detail in the drawing will make it work. In one case he imagined himself as a kid like Godzilla when he used to kill ants; which was not good but was fun. He then used the destruction versus creation story where Pato destroys some city which was fun for him but there were some living ball living in the city and were suffering from the destruction. Pato then rebuilt the city and Pato himself became the amusement park for the city. Guillermo showed his early drawings of his characters; at the beginning he wanted attitude – cute but not conscious of being cute. There was curiosity in the character. At first the characters were also younger than the current version as he wanted them silent and not do any talking. At first the producer did not like Pato, they wanted him dead but the essence of the character was the contrast. All the other characters are all different, if they have the same personalities, then they should be eliminated. He gave the audience a tip: Don’t get in love with your drawings and gags! The character and story rules. Get as much influence as possible to make a good original. 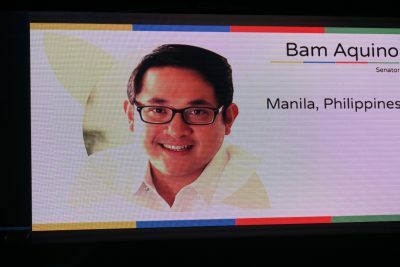 During the question and answer portion, the question of how long did he develop Pocoyo. Guillermo answered it just came together, as he was working on some other stuff. It was not just at one point or in one sitting he created the series. Sometimes we don’t know where we are going, having clear personalities will help the artist to create good designs and make sense. The series was first shown in England, as the producers were based there; then only after some time the series came to Spain. But having done more than 130 episodes of the series, Guillermo was more secure and not that scared anymore, so his motivation to create more for the series went down. So he has to change and do something else, learn new stuff, find new stories to fit the new stuff. 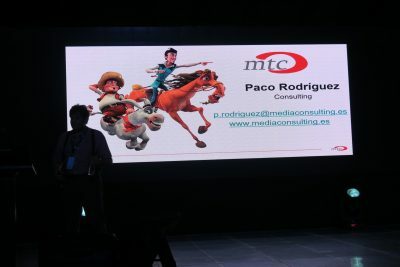 Paco has produced cartoons that have been distributed to over 100 countries. Paco says one cannot be an artist and producer at the same time. To begin with, one has to have a good idea and story. The project development usually takes at least 18 months which is comprised of the a) creative aspect – script and talent, b) the financial aspect – development and budget/financial plan, c) legal aspects – rights acquisitions, protection of rights, chain of contracts and negotiations and d) commercial aspects – marketing and distribution sharing. 1) Talent and Intellectual Property – option rights on original existing property, hire the best talent you can find, give incentives to succeed, assess your talent value in the market place, testing your production capacity. Need trademark an IP protection. Retain as much rights as possible, ask a lawyer or consultant. 2) Create emotional connections with your story telling, with your pitch, with your partners and with your audiences. 3) Look for the right balance with the artistic output, budget and production plan. Example is sometimes your partner wants to make toys of the characters, but the design cannot be made into toys. 4) Revisit the various stages more than once, as changes will occur. Recognizing and making changes needs patience, discipline and improves quality. 5) Highlight how some of the aspects of the project could be further developed. 6) Need to develop teaser test for timing reference and test it for cross-media and trans-media properties. 7) Know your audience – kids, teenager, adult, family with different age segments for kids and teens. 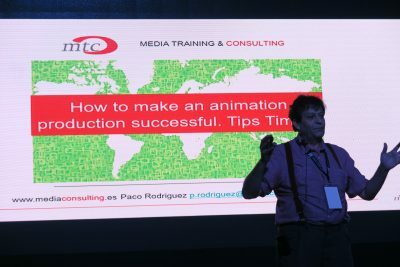 As an investment, animation production is not an attractive option for investors since you need at least 4 years to spend some money from getting the idea to marketing the finish product to the audiences.. One might get some 10% to 15% from preselling the options. To make the project more attractive to potential investors one should be prepared to present the following: background of the project, script, pitch bible, name and background of main talents such as the script writer, director, composer etc, voice cast, teaser pilot trailer, development budget, production budget, production plan financing plan, business model (exploitation plan), marketing and production strategy (action plan). Measure your strength and weaknesses in developing ideas. Plan to choose the best process of production. Choose the pros and cons of in-house or out-source production. Look for simplicity in design and story for the development budget. Test your partner/s for co-development agreement. Know and choose your target market (local, international, Europe, US) which has some corresponding budget amount. One has to invest in marketing as one cannot just rely on testing the show on the Internet. 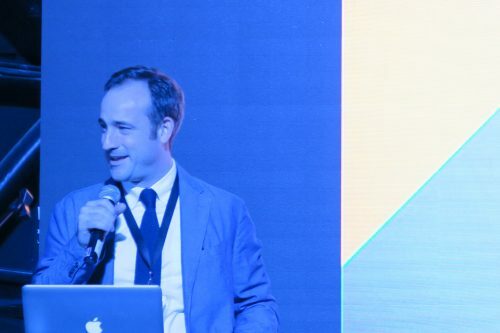 In his 20 years of experience in marketing; Paco says the US market is not an easy market as they don’t want you to sell and make money in their market, they prefer to buy the rights and they make the money themselves. He knew a fellow who wants to release a film in the US but needs many millions of dollars to distribute it, in the end the guy lost money. Select the right partners, look for synergies with other sectors in publishing, telecom, video game, toy manufacturers, free and pay television (some stations are not going to pay you, they will even ask a percentage of merchandising rights), video on demand (Youtube, Netflix, Amazon), brands, hardware and software suppliers. When looking for partners, Paco advised be like the Japanese where they will assess and check potential partners if they are going to cheat them. Co-production has many advantages like risk sharing financially, market opening, cultural cooperation (some countries have co-production schemes with other countries), technical support, market trends, political awareness, talent search and talent sharing. If one wants to have a co-production with some European countries one needs a consultant to be guided in the co-production treaties for specific countries such as Spain, France and Italy. The said countries have their own or shared understandings for qualification in television quotas, local benefits for production and distribution, important issues for co-production, television and film policies, cultural certificates, production incentives, etc. 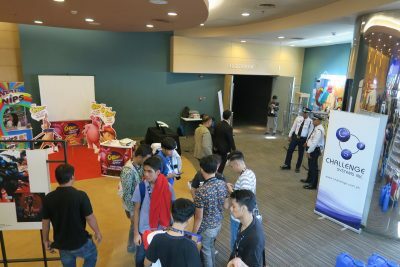 Animation is an attractive long term investment as it has a high international demand, long life span, easier access to new distribution channels, has multi-complementary income, exportable through dubbing, is an emerging trend in Asia (Korean government and Malaysia supports animation production in their country). 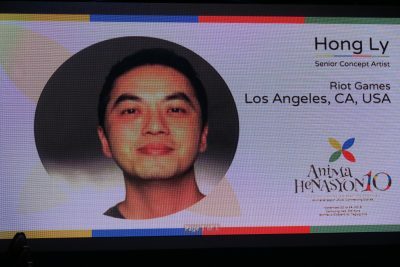 During the question and answer portion, one student asked Paco how can one be confident in presenting his ideas to investors or producers. 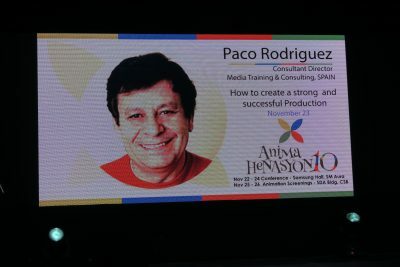 Paco suggested that one should prepare for the pitch (log line, story line, script), dominate your project, if you are shy know yourself how to handle it, fear the worst thing that can happen and be prepared for it, trigger the interest and curiosity by having emotional content, work your story and your characters. Know what you want from people – do you look for talent, financing, be enthusiastic, check the guy for empathy, put your self in their shoes – what are they looking for. 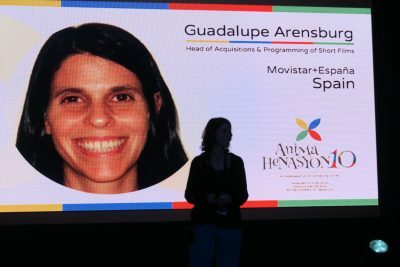 Guadalupe is head of the short films acquisitions department at Moviestar+ in Spain. Moviestar acquires 100 to 120 short films a year with about 60% international content shown with sub-titles. It also does co-production and joins competitions. The short films fills the holes between programs. There is a weekly program dedicated to short films and short series both for adults and children. Moviestar+ gets about 8 to 10 short films from schools, as these kinds of films are artistically free from any commercial pressure. 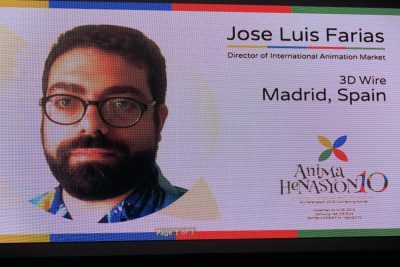 For the acquired short films, Guadalupe explained the fees per minute, exclusive rights of the broadcasters, license period for Spanish and foreign films, unlimited runs for the license period, maximum minutes of the films, legal process of acquisitions etc. For those interested in co-production, Moviestar+ have 150 co-productions since 1992. There are only 6 co-productions approved per year from about 2,150 applicants. The said approved co-productions will have a budget of 9,000 euros. Guadalupe explained the rights and duration of the showing for 2 years with the first year being exclusive. The selected co-productions will be entered in selected film festivals in Spain and other countries. 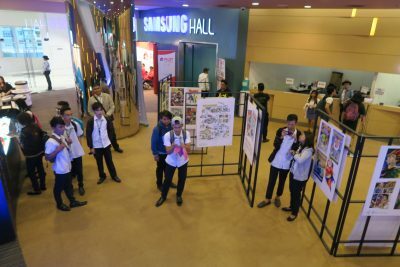 The documents required for the co-productions are: synopsis and script, character description, pictures, animation techniques, target market, budget and financing plan, biography of the director and film makers and production company curriculum. 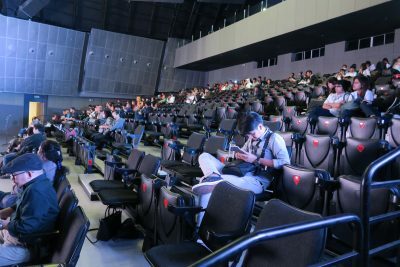 Before the talk ended, Guadalupe showed two short co-produced animated films, one was still in the process of production and the other one a finished production. Both films are not commercial and as Guadalupe says the films have a soul. The story, music and animation technique of the said films makes one think and feel deeper rather than just be entertained..
Jose is the founder and director of 3D Wire, a yearly event in Spain where animators and video game makers from all over the world meet to show their works, collaborate, discuss the latest trends, technology, new platforms (tablets, second screen, virtual reality, augmented reality, on-line), transmedia, Intellectual Property (IP), etc. 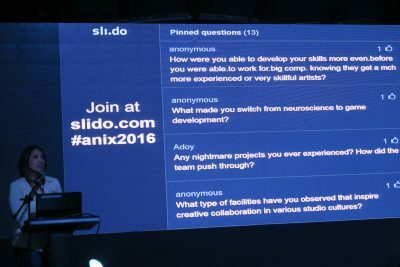 He cited other important events in the world where such convergence of artists and developers meet like SXSW (US), Power to the Pixel (UK) and Annecy (France). 3D Wire is the smallest and youngest compared to the other events mentioned. 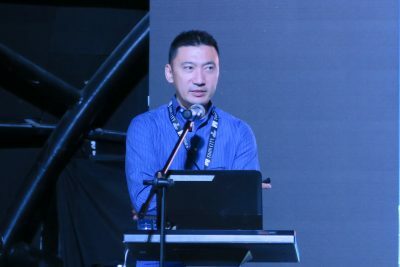 Jose explained that IP is the king, no matter where it comes from, as he cited IP games such as Angry Birds, Defiance and Back Step have successfully spawned other properties in films, television, toys, virtual games etc. But it is not only successful IPs where we can learn from, but from failures of other games. One example of a big failure is Electric City. Jose says, if one has a checklist of the ingredients to make a game work, Electric City would be one of those likely to be a hit. Even though the said graphic novel had many known backers such as Yahoo, Tom Hanks and Joel Trussel converting and marketing it into a game, it was not a success due to too many people involved, wrong partners and the video game was not good. 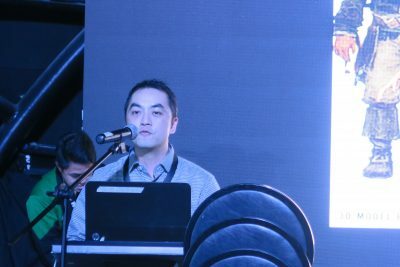 Jose then showed various examples of mobile or video games where the audience can learn from how they became successful. One such game was Fude Samurai (Spanish project) made by two guys. The people from animation appreciated the creative and fresh approach of the art. The game has good figures in Korea. Another one was the stop motion video game The Neverhood where the figures and background were made of plasticine (clay for modelling). It is an arcade game that did not work, although the creators from Dreamworks didn’t expect it to succeed either. Although the video game did not sell well, it had a lot of fan base, where the creators got a $1 million kickstarter campaign fund from fans to create another plasticine game called Armikrog. Another game was the 2D hand drawn – Mr. Mistu ( a blind guy), which was created by two people and a programmer using colored pencils. It is an example of a simple game that did very well, it had a lot of downloads as it is very different and fresh compared to the usual mobile games. The drawings look like a children’s book. Another example was the 3D mobile game – Journey, a game about finding a key in different worlds. It is not hyper realistic, not a big budget game but the story telling and music are very good. Jose watched a friend played it, and for him it was like watching a movie at the same time. The game is now being made into a virtual reality version. A game from the Czech Republic is Machinarium ( a robot who lost his mind). It is a point and click game with a lot of intricate concept designs, have a good script and animated like a children’s book. The game has a catchy character and design, that if Jose sees a poster, t-shirt or other merchandise of it; he’ll buy it. There are many opportunities for artists in the convergence of the video game and animation as it gets more and more entwined. 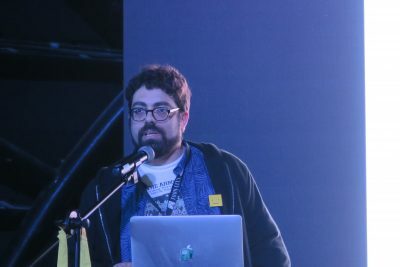 Jose enumerated the following: a) concept design and animation, b) render engines in animation, c) parallel development in video games and animation, d) cinematics and intros. Some of the tips he gave for developers and artists are: Have a strong IP in video games and animation, new ways of working: vertical slice (shorter than a teaser), be different, be original, always good storytelling and find your partner. The country is still in need a lot of support in the infrastructure, education and opportunities in the gaming industry to make it bigger. There are already some government initiatives to make the gaming industry stronger. 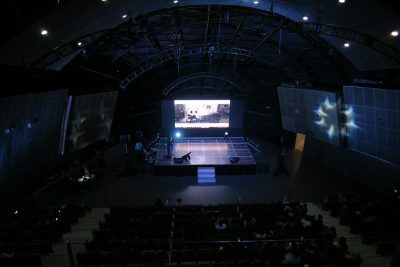 One is the e-sports and gaming event called TNC- International Dota 2 Championship held in Manila for the 2nd year. 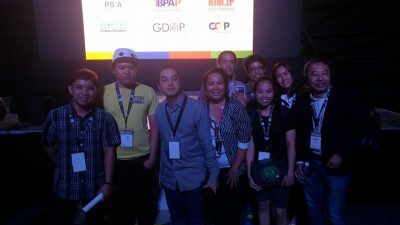 Another is having a major game developer Ubisoft in partnership with St. Benilde College put up an office in Sta. Rosa, Laguna. The Senate is working on creating bills such as the start-up bill which is focused on digital start-ups. 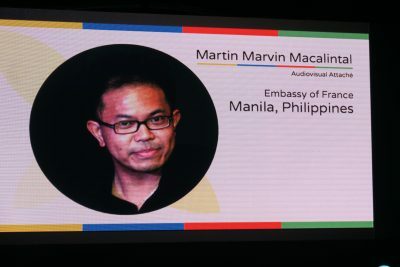 Another one is the Freelance Empowerment for 1 million Filipinos who earn as freelances for the infrastructure of rights, taxes and other support. 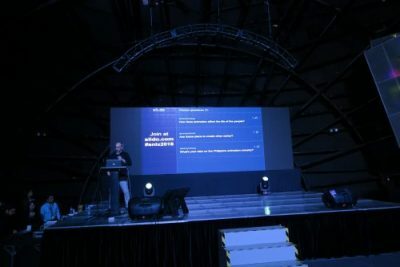 The drive for faster and cheaper Internet, as Senator Aquino sees in the next 2 to 5 years the Internet will be included in a country’s competitiveness. A slow Internet can stall our economy. Only 26% of public schools have Internet access and half of those use a USB modem. 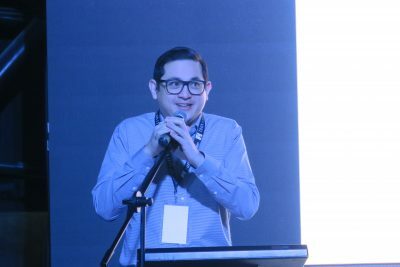 Senator Aquino mentioned that before choosing the Philippines, Ubisoft was offered better infrastructure, better incentives and practically free use of offices by another Asian country, but in the end Ubisoft chose the Philippines because of its talent in art, technical skill and heart. 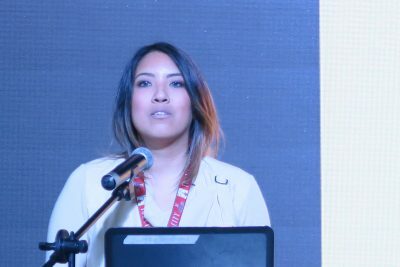 But more is needed to be done to make more partnerships and give more employment opportunities to our fellow countrymen in the gaming industry. Cinema had been invented by the French and France has been a pioneer in animation when in 1922 they had shown a silent 2D animation film that was an adaptation of Tom Thumb. In 1971 the French government supported the cinema by granting incentives for production of films, shows and animation. 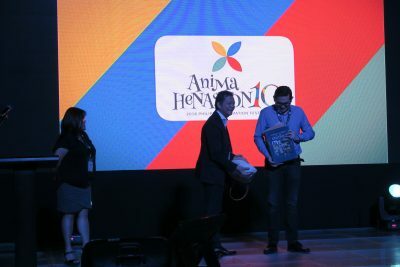 They established big events for marketing international animation such as the Annecy International Festival . In this year’s Oscar Awards, 7 french animation films are in the finals list. In 2013, France and the Philippines has signed an agreement for knowledge and technical transfer for films. There was also a co-production agreement pending the ratification of the UNESCO Declaration on Cultural Diversity. 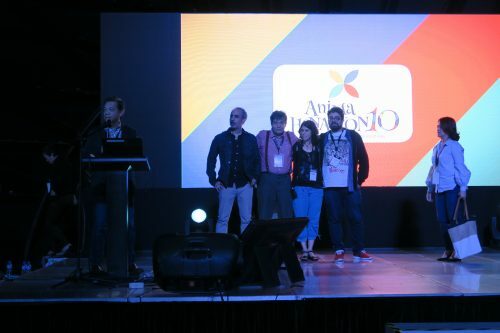 And finally a world cinema fund for P1 million in script development and post production funding which was used this year for the film Saving Sally by Avid Liongoren for the Metro Manila filmfest in December 2016. 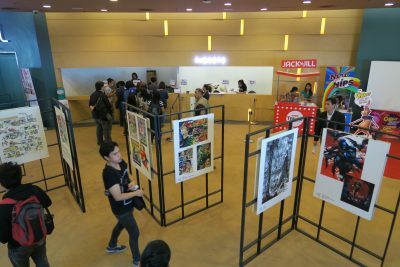 Next year it will be the first time for Philippine schools to enter a French festival AFCA. Animation film like Manag Biring by Cinema One was appreciated by the public and may enter distribution in Europe. 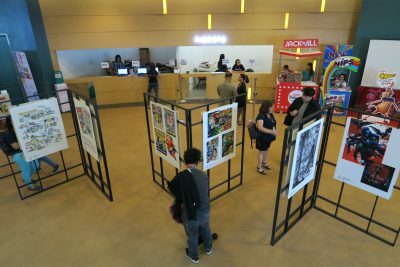 It’s time the France and the Philippines share of their works for better appreciation and understanding of each cultures. 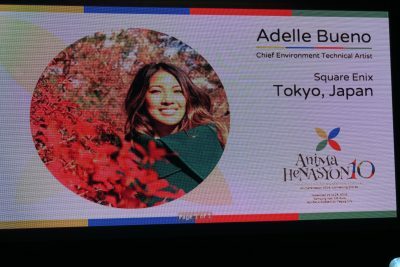 Adelle is a Canadian who has worked on game projects in Canada, the US and Japan. In Japan, she works with 60 other people coming from different countries. Multi-cultural diversity is the norm for big firms, there is also a need to outsource and hire freelancers from different countries in game development. The benefits of diversity are greater productivity (best techniques) and better creativity (different ideas, fresh inspiration). However, conflicts can arise with having differing cultural norms working together. In Japan, there are levels of formality in communication, while the US and Canada are more casual. For American and Canadian workers, cursing is normal but many other cultures find it disrespectful and offensive. Body and visual languages such as the OK finger sign means different things for different cultures, for some its a sign of money, others its okay, for Brazilians its rude. The button mapping switch in PlayStation in Japan is opposite what is the other parts of the world as they have different meanings for the O and X sign. When giving feedback on the work; the Japanese are indirect not to hurt the feelings, the American and Canadians use the sandwich style of complimenting, criticizing and complimenting to make the person feel better, while the Germans and Brazilians are more direct to the point. One should also read between the lines as the tone of the Japanese gives the clue of what he or she is really saying. In Japan, it is alright to take a nap at one’s desk, it is usually a sign that the person has really worked hard and needs to take sometime off. But in the US, taking a nap at work could lead to an outright dismissal. Meeting in the US and Canada has an agenda, while in Japan decisions are made before the meeting, so the meeting is just getting to know each other and Americans feel that nothing has been accomplished. In Japan it is unacceptable or inappropriate to mix drink with work, while in the US drinking wine on Friday’s is okay, while in Canada its beer and pizza on Friday’s. With regard to expectations, in the US roles are very specific, one should specialized and be focus on one area, while in Japan a character artist is expected to know a lot of other roles to show that he or she is versatile. So when showing a portfolio it is different in the US and Japan. Aside from differing cultural norms, here are other factors for miscommunication among cultures such as individual personalities, studio culture and team culture. To be able to work better in a multi-cultural setting one should understand difference exists, give people the benefit of the doubt adopt and interact more with other people. A concept artist comes with ideas for pre-production. He she pitches ideas, shows several iterations of the concept until the director or client selects one concept that will be for final production. There will be lots of rejection in the drawings, so the concept artist job is to save time and money for the company by zeroing in the best works for the game. 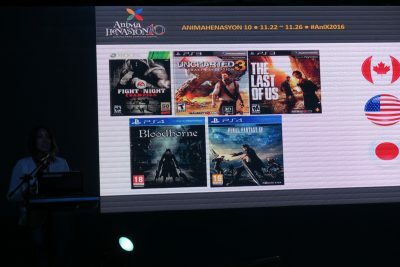 Hong showed his various early works and Drake a main character for the game The Last of Us, where he did some different blood levels and costume design so the client can have a choice. There were also head concepts, with different skin tones but the eye, nose and mouth level were all the same as it was rigged in the software program. For a game project one should choose what type of animation style to use from flat 2D to hyper realistic 3D and there are many types in-between these range. One should also think where will the project lie by establishing limits in the volume range of colors or saturation range. Is it going to be one level or many levels; a comedy is high saturation while a drama is low saturation – the game should be within a range and not jump or exceed the color range. What is the tone – happy or sad, so the range should be reasonable, not happy then suddenly sad. For the characters, use flat colors for background characters so they don’t stand out, while use high contrast for characters such as a king or queen. There are also conflicting and complimentary colors, saturation intensity for other effects on the character and backgrounds. The silhouette of the characters should be consistent like the Sponge Bob characters are consistent and should not be mixed up with another cartoon like the Incredibles. Basic shapes can tell the character such as square as tough, circle (round) as good, huggable, triangle as evil. When designing a cast of characters, the shapes should all be different to be distinguishable like in the cast of Kung Fu Panda. When the shapes are applied to cars, a square one is slow, a triangle is fast one and a round is average speed. There is the rule of 3’s for the body which is divided by the head, torso and legs. To show a slow character, the hip line is lowered and the legs are shorter and torso rounder; to make the character faster adjust the hip line higher and the legs longer while the torso is slimmer. The rules of 3’s can be applied to the head with the forehead, mid-level (eyes, nose) and the jaw. To show a tough guy, make the jaw bigger, to show an intelligent guy, make the forehead bigger. The placement of the eyes can show it as a predator (eyes on front) or a prey (eyes on the side of the head). Placement of the ears, nose, mouth, level of the eyes also changes the character – so placement matters. Balance of the body should be observed, not too right or left heavy as in too big an arm or costume for the right arm in contrast to the left arm. Great animation creates lasting experiences and connects the player to the game. The creation of art creates value in the world, a good design in buildings, homes, cars, clothes, films, etc. enhances the life of people. As an animator, you are expected to work with other animators, creative directors, environment artists, technical artist, character artists animation lead and supervisors. A great concept art inspires the team, informs the client, ignites the creative juices of everyone and looking at it “sets the table”. When doing concept work, if you work 8 hours a day at least spend 30 minutes to an hour doing research. You will be animating ‘crafted imaginations’ and are expected to be able to do a lot of things. A case study was given when a the back leg of a pack hunter for a game was reversed. It was unique so the designer wanted to keep it that way, but animators said there is no way to animate that as there are no reference for the movement in the natural world. Until there was a reference in the movement by a skier holding the poles and pushing himself to move – the movement from the shoulder down to the tip of the ski pole acts like the reverse leg movement. When the animators got to study the movement of the skier arm, the pack hunter was able to move naturally in the game. As an artist you should fall in love to frustration as you improve your skills, you should feel the need to improve further (feel disappointed) but will never reach the ideal. To get hired, research the company and know what they did well and show how you can help them do it better. Research other companies too. Answer the company’s question of what can you do for us? Aside from that your portfolio should show that you can master the basics like drawing the bouncing ball, pendulum swing, jumping man and walk cycle. If you don’t show mastery of these basics, Daniel says he would not look further into your portfolio. Show your animation with good story and emotion, don’t use the overused Norman Rig, use other rigs and make the title card appealing. In the demo reel, keep it simple and straight forward, edit your reel show your best and worst work. If your worst work is not that different from your best work, then nothing has improved. Don’t show your school work, as you should have grown over it already. Earn to have a good reputation – good attitude, work ethic, team work, to show that you can last with the company. 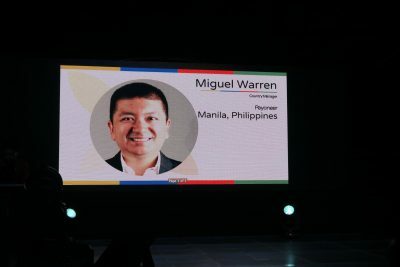 Miguel is the country manager for Payoneer. It is like Paypal but for business. There are 5% of the Filipino workforce working online, and some are freelancers who earn their main source online. However, to get earn online as a main source of living, one needs to reach a certain scale and growth is expensive. There are also many difficulties in getting paid internationally. An independent study showed that one can get the most pay for $1,000 is from Payoneer compared to a bank or Paypal. 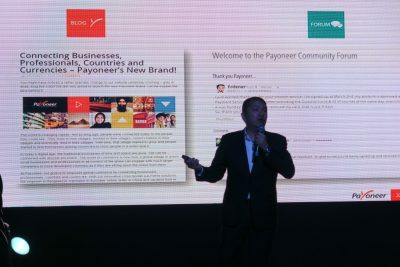 So the more money you get paid, it is important to get the least amount of expenses for the transfer of payment to your account – which is Payoneer. To create a good game there are three stages to do: brainstorming, prototyping and the testing phase. The brainstorming should be structures, there should be a schedule ahead of time, have a deadline, prepare a topic and subtopic, have a timer 90 seconds for each index card topic. One should give a clear direction (focus), make it easier to participate, give everyone a space to talk and there is no “perfect idea”. For the post brain storming, collect the data, identify the strongest idea based on team excitement, team experience (good at ) team capabilities and existing other games. Stop brain storming sessions after 2 to 3 sessions then move on to pitching prototyping. Prototyping answers the question will this game or technology work, assess risk and clarifies questions. It should be fast, focused and have clear goals. There should be a strict deadline, be clear on why you are prototyping, solve one problem at a time. There are specific prototypes to test new games in terms of the environment, situations and mechanics. A challenge for the player should also be there to test the skill and decision making of the player, a problem to be solved and blocks the player progression. Testing – test as soon as something is ready, when there are enough substantial changes. In the company where Carlos works, they video the player to play the game in a normal use room with chips and water, no outside help and a couch. The eyes, face are tracked and the controller input is also reviewed. The most important part is to watch the recorded play 2 to 3 times and see the reaction of the player to the game. Then ask some questions to the player like asking him to repeat the story to me, do not ask leading questions, ask open ended questions. As the project lifetime increases, the workload and role of the artist decreases, while the workload of the scientist (more testing and adjustment) increases.